October 28th - Jeffrey Dean Morgan - Celebrating 25,000 posts! November 14th - Colin O'Donoghue - Celebrating 10,000 posts! October 27th- NCIS Franchise - Gibbs Rules Survivor - Come and vote! October 28th - Jared Padalecki - Jared & his kids/family Survivor - Come and vote! October 30th - Charmed - Season 2 Episode Survivor - Come and join us! November 1st - Patrick Dempsey - Derek Screencap Survivor - Come and vote! November 2nd - Star Trek - Kira Nerys Hairstyle survivor - Come and vote! November 2nd - Fifth Harmony - Favorite Camren moments - Come and vote! November 5th- Iron Fist - Season One Episode survivor - Come and vote! November 5th - Emma Watson - Appearance Survivor - Come and vote! November 12th- Katie Cassidy - 2010 Outfit survivor - Come and vote! November 14th- The Blacklist - Raymond Reddington Season 2 Quote Survivor - Come and vote! November 15th- Celebrities - 6th Annual Hottest Celebrity in the World Survivor - Vote Now! November 20th - Kit Harington - Favorite Kit Fashion Statement Survivor - Come and vote! November 21st- Star Wars - Lightsaber Duels Survivor #1 - It's Battle Time - Vote Now! November 22nd - Fan Art - Holiday Icon Challenge - Come and join us! Dave's Retirement Celebration  Because come September, things will get a little strange. Tia - thanks for letting us know about the thread for Dave. While I can see why you might think of it as a board event, it's really more of an individual celebration, so won't be listed in the OP. Sarah - they've been added to the OP. Have fun on the rewatch everyone! 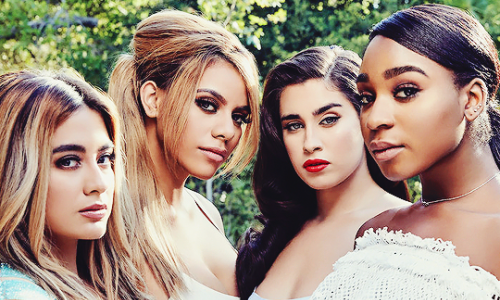 During our inside posting challenge, we're doing rewatches/relistens of the Fifth Harmony career, if you wanna join, find the infos here. Our next event is set up to happen both on saturday 19th and sunday 20th with a relisten of their EP "Better Together"
and 2nd album "7/27" at 6PM GMT. Please feel free to join if you want to. American Gods Survivor Thread #1: Only one will win. Thanks for letting us know. The OP has been updated. Good luck to the 5H board and congrats to the Tyler Hoechlin board! Sanvers [Alex & Maggie | Chyler + Floriana] #06: We started at "this is my crime scene" and ended up as "will you marry me".